What Puller finds convinces him that his aunt's death was no accident… and that the palm trees and sandy beaches of Paradise may hide a conspiracy so shocking that some will go to unthinkable lengths to make sure the truth is never revealed. Engaging story about the horrific practice of human trafficking. No clue if these scenarios actually exist but they are more than plausible. I am really getting to like Puller. I like fictional characters that we can follow in a series: Childs' Reacher, Cornwells' Scarpetta, etc. Looking forward to the Puller adventure. 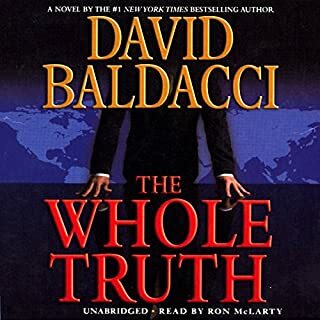 Fun, classic Baldacci (for those who know his stories). I will listen to this again. Don't believe the cranky reviews. The sound effects are basically like old radio stories (for those of you not old enough to remember, where sound effects were way more intrusive). However, in an audiobook, I admit I prefer a single reader, even for male and female parts (assuming the reader is up to it). That having been stated, nothing needs to be said about the plot or writing other than that they are good and entertaining, as usual. Puller is a Jack Reacher/Mitch Rapp character. I found many similarities. When I first started listening to this book, I thought that I had a corrupted download. They have sound affects that made a humming sound. It didn't last long. I liked the first book in this series better. I hope that the next book is a little more interesting. 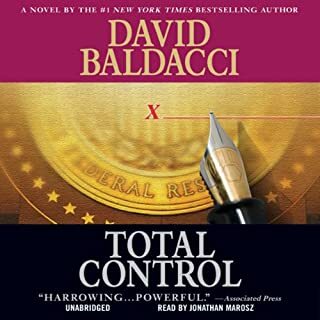 I love David Baldacci's books so I will buy the next one. Absolutely! The book has non-stop action, lots of twists and turns, and all the escape scenes are quite believable. I judge the quality of a book by how long it takes me to get through it. This book had me listening at every opportunity including the middle of the night-- just couldn't put it down. Took three days from start to finish. That makes it a five star book for me. I had several favorite characters, but John heads the list. A hero from the same mold as Jack Reicher and others like him. Julie Carson tops the list. Orlagh does a great job in bringing her to life. The book evoked strong emotions in support of the plight of those caught up in today's slavery trade. 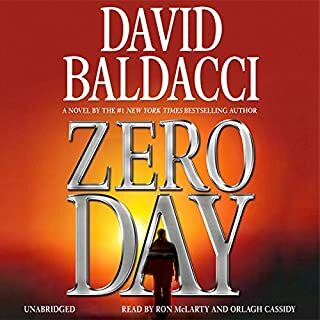 Although I love Baldacci's books, I almost didn't buy this book because of the negative reviews of several readers who criticized the sound effects, and the poor and rapid speed narration of Orlagh Cassidy. For me, nothing could be further from the truth. I loved having the male and female parts read by two different people, and found Orlagh's performance to be spot on. The book was great. A little farfetched at times, but that's expected in thriller fiction. What I didn't like were the annoying sound effects and the female narrator...just sounds "staged", not natural. 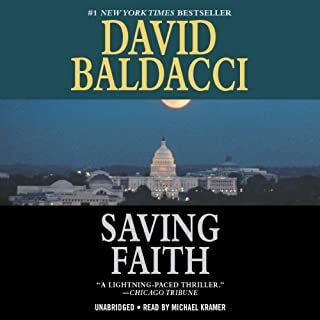 Other than those minor things, I enjoyed it as I do most of Baldacci's books. While I agree with some of the reviewers that the sound effects were irritating, don't let that stop you from listeneng to this book. There are some interesting twists and overall, I enjoyed the book. The sound effects are minor. Love this new series from David, great story line, great performances by both narraters. I recomend this book to listen or read, can't wait until the next book. 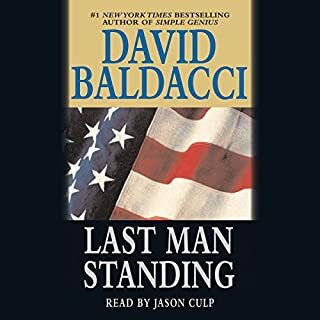 I'll buy a David Baldacci book without listening to the sample. 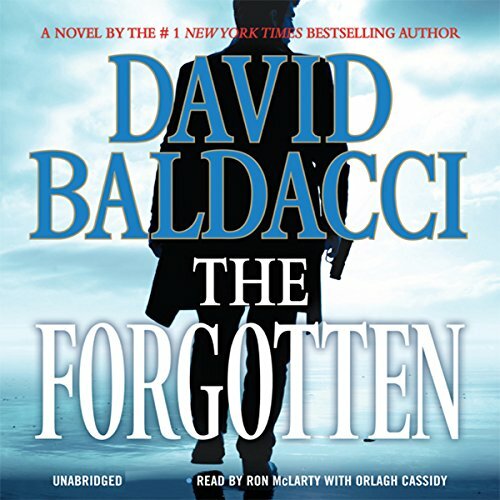 The Forgotten was enjoyable and I had difficulty putting it down. If you enjoy Baldacci, you'll enjoy this story as well. The story was worth my time --- had trouble putting it down! A poor plot combined with unnecessary sound effects make a hard to stick with listen. From the first (where we hear the sound of a boat) to the end this is full of the kind of sound effects I remember from the old radio days...but not done as well. The plot drags on and on and isn't helped by the narrators. It took me days to get thru this-I like to finish the books I buy but this novel--gawd--it isn't worth buying. 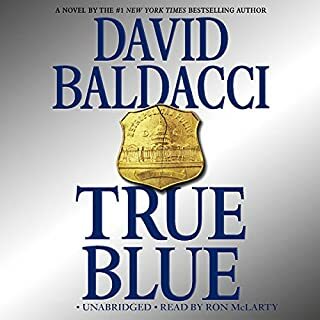 I usually enjoy Baldacci novels-though this and the first novel in the series are the first books I've bought as audio....I can't decide if it's the pacing of the plot or the terrible add ons of music, the ocean, the speed boat, guns shooting etc etc. I wish producers would read reviews and understand that most of we readers dislike the sound effects. I can't recommend it...not worth a credit.